Along the streets of Philadelphia, America's well-known past occupants walked during the early days of the country. All throughout the city you find areas that are meticulously groomed and preserved that allow you to get a sense of the triumphs and defeats of America's past. These endearing characteristics help bring the story to life in Silver Linings Playbook. You can take a spin around the city following the same footsteps of the actors in the movie, or deviate into the city's sections that were once occupied by America's forefathers. You can start by waking up in the morning, looking out your window and seeing a gorgeous man running down the street. Not just trotting along in an everyday jogging session, but decked out in a pair of sweats and a trash bag. It may sound crazy, but Philadelphians were able to enjoy the luxury of doing just that during the filming of Silver Linings Playbook. Bradley Cooper's portrayal of Pat Solitano tries a holistic approach to healing, without the use of medications, after a stint in a mental institution. His running sessions were part of the filming process, captured on film and by local residents in the neighborhood. Cooper is a native of Philly and was right-at-home during the making of the movie. 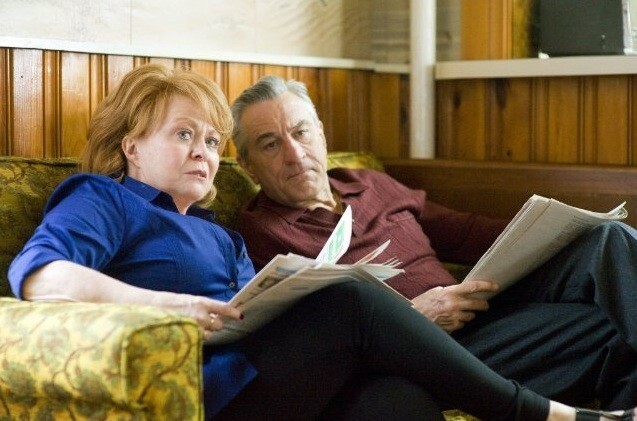 Cooper was one of the few star-studded cast members on location that included Robert De Niro, Jennifer Lawrence, Julia Styles, Jacki Weaver and Chris Tucker in the movie; however, for many movie-goers Philly took center-stage as the prime location for the film. Many spots within the film stood out in the background and are instantly recognizable. Part of Pat’s healthy lifestyle involves his daily run he takes while donning a black trash bag (the reason for the bag is never revealed, but left to your own interpretation). The real-life location allowed for Philly locals to enjoy the delight of having the opportunity to see their native Cooper running on Stewart Street in the Ridley Park area, where a lot of filming took place. The mental institution where Pat stays early on in the movie is located just outside of Philly in Norristown. The state hospital is a long-term facility that started in 1876 for in-patient treatment serving several counties, including Philadelphia. Norristown State Hospital has a long history and used to go by the name of The State Lunatic Hospital at Norristown. The massive institution is situated on 225 acres, and in its history has housed over four thousand residents at a single time. Its history is both leading edged and mystical. The hospital was one of the first institutions that employed female physicians and had a pathology department—both new concepts at the time. Similar to many institutions of its kind, the Norristown State Hospital has a reputation of being haunted. Underground tunnels and the first floor are said to house the spirits of patients who once lived in the institution. 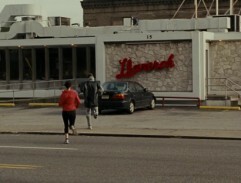 Located at 95 E. Township Road, Upper Darby, the Llanerch Diner is one of the easiest locations to recognize in the movie. The shots taken in the movie allow you to instantly know the location. The Llanerch Diner was undoubtedly a scouted location for the movie in order to give authenticity to the location in Upper Darby. Pat and Tiffany meet at the 24-hour diner, where they start learning about one another and their colorful histories. The diner’s background bustles with hungry patrons waiting for their meals and enjoying a hot cup of coffee. The diner, which is still in full business, has been around for over 80 years and offers typical diner food and some specialty Greek dishes, including Moussaka. Eagles fans and native Philadelphians understand the scenes at the location outside of Lincoln Field. Energies run high during football games and that fact is portrayed so profoundly in this movie. Pat Sr. played by Robert De Niro warns his son to keep his cool at the game between the Eagles and Cowboys. The scene after the game shows how many fans, even those with the best of intentions, can get worked up after a big game. Lincoln Field is one location that has probably seen more fights than Madison Square Garden. In the movie, the match is based on a famous game between the Cowboys and Eagles in 2008. If you’re a die-hard fan of either team, you already know the outcome and can understand the fight scene outside Lincoln Field. The Ben Franklin Hotel located at 834 Chestnut Street, received the nickname of Ben from attendees at many of its former functions. Its ballroom, which is showcased in the movie, is still available to rent for special occasions. Weddings, bah-mitzvahs, birthdays and the like are held in the popular ballroom. The hotel went out of business in the 1970s and was renovated into condos and apartments. The interior of the ballroom still showcases the ornate design that was refurbishes in the 1980s. Its historical past includes the denial of allowing the Brooklyn Dodgers to stay, because of one of their team member’s race. Jackie Robinson’s team found accommodations at another location and never returned to The Ben. If you are in the mood to enjoy a grand evening in one of the largest ballrooms in Philadelphia, then The Ben is the perfect location for your gathering. You can reserve the historical ballroom for an unforgettable evening. Tall archways enclose lofty ceilings adorned with massive chandeliers that fill the immense space with soft lighting. These features are shown beautifully in the ending scenes of the movie. 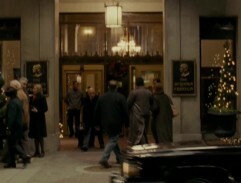 The Ben’s ballroom is where Pat and Tiffany are to compete in the dance competition they have practiced for throughout the movie. The Lansdowne Theater is another site with a vast history located at 35 N. Lansdowne. It is one of the last remaining theaters from the 1920s that has not been altered. Visiting here you can get a sense of what is like to go to movies in 1920s America. The end of the decade was the beginning of The Great Depression caused by the stock market crash of 1929. Theaters were often a place that people went to escape from the harsh realities of the time. Movies gave them hope for the future and kept their minds off the dire condition of the country. Almost everyone at the time suffered from the harshness of unemployment, homelessness and starvation. Scenes within the movie show Pat and Tiffany talking outside of the famous film house with its noted marquee and gothic architecture. You can stand exactly where they were at the Lansdowne Theater, which offers you the chance to soak in some of that history within its walls. These same walls housed famous actors and people from generations past that could never have imagined the illustrious future it would eventually possess. You don’t have to be a native of Philly to get a feeling of the city and all the history that still lives there. You can enjoy many of the locations, without leaving home, due to the movie paying subtle tribute to Philadelphia and showcasing some fun and famous spots to visit for sports fans, movie lovers and ghost hunters, alike. Philadelphia is a bustling city with a rich and deep American history. 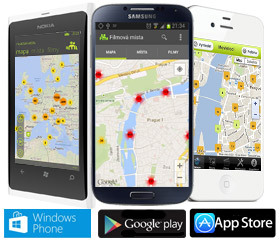 The beautiful skyline and choice of various locations and venues, offer something for everyone. 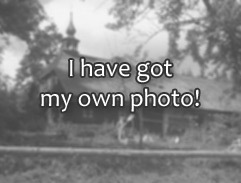 There are so many areas to visit that take you back in time and show you the same areas still existing from former years. Its past haunts include some of the most historical occupants, including Benjamin Franklin and Betsy Ross, along with a long list of famous individuals—including Bradley Cooper. 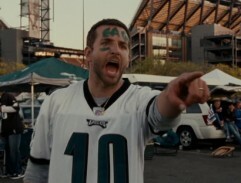 Silver Linings Playbook allows you to take a trip around Philly alongside Cooper and his star-studded cast mates.